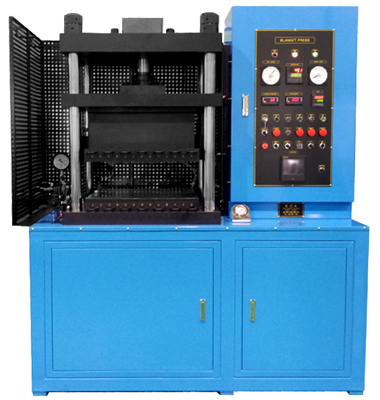 It is the device which vacuum, pressure, heating, cooling function of Autoclave and dedicated heating press function for composite material. Using the same component with Autoclave, it has more convenient vacuum Bagging work. Having the same molding condition with Autoclave, it has simple molding process compared with Autoclave. To be able to use two kinds of functions with one device, it has high device utilizing efficiency. Real-time recording and saving of all test parameters (pressure, temperature, vacuum, cooling) is available. With practical space utilization and price compared with Autoclave, it can perform competitive test. With 1/4 times of hour compared with Autoclave, Autoclave molding is available. Temperature graph and pressure graph are linked, press can be operated automatically. It is dedicated facility which is manufactured delicately for researcher based on rich R&D experience of composite materials.